How MassBlurb is helping restaurants to expand digitally? The growing Indian food service industry is expected to reach $78 billion by 2018 and with global food service industry valued at $2.6 trillion in 2013; food tech startups across the world are grabbing investor attention. MassBlurb is an online automated platform helping restaurants in managing their end to end online presence. It is a rapidly growing organization with a 100+ restaurants in Mumbai in less than six months of operations which recently has expanded their operations into three more metro cities in India naming Delhi, Bangalore, and Pune. Wholly, MassBlurb provides a suite of digital marketing solutions for restaurants to increase footfalls and improve customer acquisition numbers.It currently works with a team of 27 energetic people. The founders Pankit Chheda and Sanket Shahwere long-time friends. While watching their respective family businesses not leveraging the power of digital media; they had a problem to solve. “Our fathers had no idea about the opportunities internet can open up to grow their respective businesses” said the founders. Sanket Shah earlier founded Visify Books and was testing startup culture since his college time. “I am a Gujarati and I am a born businessman,” laughs Sanket, who handles sales and product management at Mass Blurb and is very passionate about his work. Pankit Chheda was working for CouponDunia after moving to India from USA in 2013, who currently handles tech development at MassBlurb. While at CouponDunia he was moonlighting at Mass Blurb with Sanket. The idea was born when both of them tried to help their parents set up websites for their businesses. And they noticed the difficulty which people experience while trying to create a website. Meanwhile both also realized that most of the SMEs were missing out on capitalizing within the digital space that exists now, thus both of them decided to help the people and MassBlurb evolved as a result. Why we choose MassBlurb as Startup of the Week? • The USP of Massblurb lies in its data mining and sentiment analysis expertise. • MassBlurb provides a 360 degree marketing solution for restaurants to get more footfalls and engage customers. • It helps restaurant owners to regularly engage with their customers using CRM. • It has recently signed up with multi-city F&B chains like The Beer Cafe, Impresario Group, Chaayos, etc. • MassBlurb works as a single dashboard where restaurants can manage their end to end online presence and make sure they are present on listing platforms like Zomato, FoodPanda, and the like. • MassBlurb lets restaurant managers push information to Zomato, Google, TripAdvisor, Burrp, TimesCity, and Justdial from a single dashboard, and engage users via SMS and email. • It has been able to grab the attention of investors in its early stage. 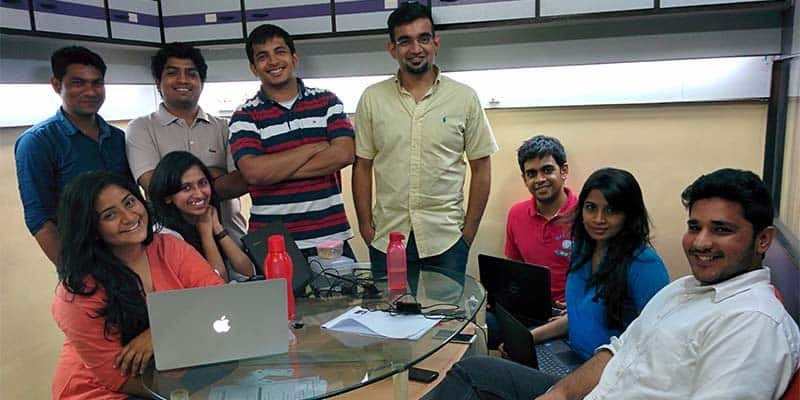 It has raised funding from Mumbai Angels and LetsVenture recently. Thus with its unique and extra ordinary art of serving the digital marketing to the food industry, it attracted many angel investors to invest in and finally on August 13 this year, the company grabbed seed funding. MassBlurb has been able to grab the attention of investors in its initial stage and has received angel funding from members of LetsVenture and Mumbai Angels among other individual investors. This funding came for the company in this month only. With the external funds coming in, both the founders have plans to utilize the funds for product development and expand their services to a few international markets in the coming six months. MassBlurb currently has operations in Delhi, Mumbai, Bangalore and Pune. The company currently serves close to 200 restaurants in India and aims to reach 2,000-2,500 restaurants in the coming months.Also it has plans to expand to more major cities in India. All the future plans are based on the next round of funding. Thus MassBlurb is looking forward to seek another round of funding soon.